If there is one thing I get excited about, it’s finding clean t.v. If you’re anything like me, you have no inclination to see Magic Mike or 50 Shades of Grey. Orange is the New Black is definitely not on my radar and Scandal is a little too “scandalous” for me. But give me a good family friendly show, I’ll easily binge watch until I can’t see straight. We don’t have regular cable t.v., so we do LOTS of streaming here. Thanks, Netflix! 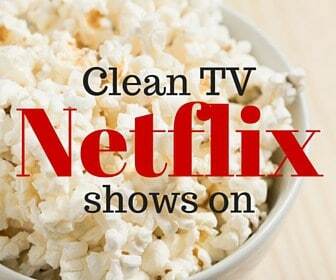 I’ve searched and searched, Netflix and I’ve come up with my favorite clean t.v. show options, because binge watching is sweeter when it lasts for days. I’ve separated the content based on Family and Teen-Adult. Family is considered “safe for all ages”. These are shows rated G/PG and I would recommend them to family movies/shows. While the Teen-Adult category is also rated PG, it is considered safe with parental discretion; I would consider watching these with your children, or before your children, to ensure that it is something that you deem approved, but are definitely safe to watch as an adult. This is a great one for ALL ages. When my 10-year-old sister finished, she called to see when the next season would be available! Definitely worth watching with those older kiddos. To top it off, Ms. Thatcher’s belief in God is well portrayed in every episode! Probably my second favorite on Netflix. I’m such a stickler for old-style movies and CLEAN love stories, this one meets both. I was so distraught when this one ended. I haven’t quite finished this series yet, but my little sister raves over this one. She became quite the 10-year-old binge watcher when she found this series, and actually re-watched it later. It’s been clean and exciting, great for those of all ages. This Hallmark original has become one of my favorites, and I can’t wait to see the next season appear on Netflix. It’s surprisingly clean and portrays real life, people problems. [If that makes sense] This is definitely a must watch series for the mamas out there, you’ll enjoy it! This series is possibly my all-time favorite. I cried when it ended- I may have been a little hormonal postpartum. Definitely, NOT for the faint of heart, the series is extremely clean, however, childbirth is portrayed in such a beautiful and magnificent way. Definitely more for the mamas than anyone, if you’re a fan of old movies and birth stories, you’ll be hooked! I fell in love with all of these girls during that late night nursing sessions. I binge watched right through the midnight hours many nights with Joyce, Esther, Bea, and Connie. Though it’s rated PG, it is based during rationing and the war- there’s a little drinking- maybe not suitable for little eyes. This is a quick list of my top picks that are available on Netflix right now. Don’t forget to check out our secondary list, Clean T.V. Shows on Netflix Part 2! Have you watched any of these Clean T.V. Shows on Netflix? What did you think about them? 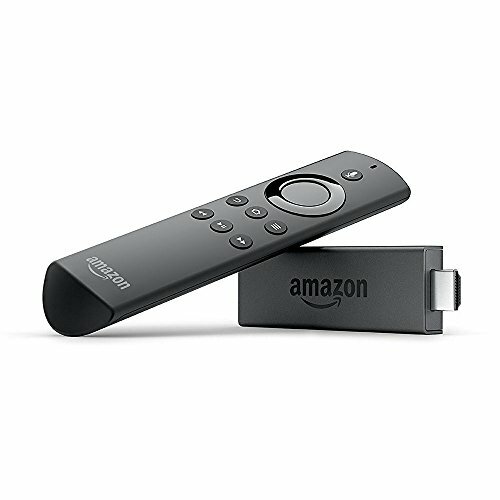 What are your favorite Clean T.V. Series on Netflix? DISCLOSURE: This list is based purely on my own opinions and is likely to change at any time as new seasons or shows are premiered. I have no affiliation with Netflix or any television show or company mentioned here. Viewer discretion is advised. Remember that this is based upon what I think is best for myself and my family. This may differ for you. An adult should consent to any recommended t.v. shows. Thank you for this list. Good wholesome tv is hard to find. My husband and I were totally hooked on the series “Heartland”, but have had to stop watching it due to the fact that one of the main characters, in Season 10 said “gd”, taking God’s name in vain. I can tolerate a lot but, as a Christian, I feel it is very important that we stand up for what we feel is right, for what the Bible says is right. I truly hate that tv shows think that language makes the show better. It doesn’t! Call the Midwife intrigues me, but I’m squeamish. Anyway, NO WAY hubby would want that playing on our ONE TV, LOL. Good stuff here! All of these series seem to be based around girl characters. Any good Net Flix series for boys? Such a shortage of good series with good, strong, moral role models for young boys. Gortimer Gibbons is awesome! It’s based on a male character. I think Annedroids may be too? I could be wrong about that. Someone told us to check it out, but I hadn’t had a chance to yet. Love what you are doing with your blog and for taking such a courageous stand a few months ago! Wishing you all the best with your new baby on the way! Hi Sari! I loved the first season of Call the Midwife (about when I wrote this post), but unfortunately, I stopped watching not long after. I later found out that one of the main characters comes out as a homosexual. It’s disappointing that so many shows have to turn to graphic violence and immorality to attract viewers! While I have appreciated this list of good wholesome viewing, I am positively stunned at the hate expressed here against those in the gay community. This is thinking from 100 years ago. And comments that are not appropriate “viewing” for any age group. Jesus did not turn his back on anyone. Who are you to judge?? I’m sorry you feel that way, Carolyn. The Bible says that Jesus is the same yesterday, today, and forever. He changes not. Whether the world’s morals and values change, Christ’s word still stands true. Although I don’t agree with the lifestyle, I don’t hate people who identify as gay. Though I choose to stand by God’s standards when it comes to Biblical truth. Maybe these posts could help you to understand: https://www.theferventmama.com/should-christians-judge/ and https://www.theferventmama.com/christ-bible-homosexuality . Have a blessed day! Your response is an eye-opener. Thank you very much for being loving enough to tell the truth. Thank you also for your suggestions on the shows. It must not have been easy trying to find good shows that didn’t conflict with your morals and I admire the fact that you did and shared with us. I think you using the word “hate” to describe the same words I have read here is a quite far-reaching, exaggerated, and slightly a matter of warped delusion. Homosexuality is, biblically, a sin. A sin that God refers to as an abomination. We are called to hate the sin, not the sinner. Watching shows that glorify any kind of sin, especially an abomination of a sin is probably not sound. I am glad I continued to read your review to the end, and the comments. Call the Midwife though good, I also had to stop watching due to the Lesbian nurse and her partner, and then another episode that I stopped mid-episode and yelled because a secret gay men meet ups. I loved Midwife then they ruined it by bring in the gay couple and using the House to more or less shack up in, very disappointed. A hundred thank yous for this! Leverage for older aged/adult that my wife and I both loved. Psych is another one my wife loved, more than me, but I ended up liking it. I thought it really was some kind of psychic show, but it’s not, it’s a guy pretending to be psychic. Hi! This post was written before Fuller House came out, but I could totally agree with you! I was SOOO disappointed with it! I didn’t even bother finishing it. Thanks for taking the time to comment! I agree with Fuller House comment. I remembered loving it in the olden days (and loved Candace in the Hallmark movies over the holidays), but no way am I going to sit and watch that with my son. Even my husband was shocked at the first few episodes and stopped watching it. We’re old types; like ‘Murder She Wrote,” “Leverage,” “Life,” “Numb3rs,” “Agatha Christie’s ‘Perot’,” in addition to the shows you listed. ‘Clean,’ respectable shows are hard to find on Netflix, and we end up watching “Leverage” over and over. I particularly like the episode named “The Lost Heir Job” in the second season of that series. “Murder She Wrote” is such a good one, I can’t believe I forgot about that one!! I don’t think I’ve seen the others. I’ll have to check them out since I’m working on another list. What genre are these, and are they all on Netflix? Sadly, no. Only Life is. Murder She Wrote, Leverage, and Poirot were, but Netflix played its cruel hand in those cases. That’s one I’ll have to check out! Did you mean “Granite Flats”, that one seems like what you’d be talking about? I searched for Granite Falls though with no luck. I might add it to the next list when I get it checked out! Oops, yes. Its Granite Flats. I ended up binge watching it. It’s a 50s era mystery. I didn’t think I would like it, and neither did my siblings -they’re into reality tv, empire, scandal, etc…and when they saw me watching it they became hooked too. Hi Ray, have you tried “Sherlock” or “Elementary”? Those are a couple great options. “The Bletchley Circle” is a good one, and “Luther” may be one you can try. The BBC usually has some great options, but be aware that some of them can be inappropriate. You can always Google reviews to be sure that it’s good to watch. 🙂 Enjoy! Just Add Magic is the best for family, I’m a senior but really enjoyed it and hoping for a 3rd season. Unfortunately I think it’s only available on Prime. Hey! I am in love with heartland!! It is by far the BEST tv series I have seen in a while. I love the horse part, because I love all animals. I recently finished the ninth season. They are still working on coming out with more, but I have no where to watch them. Any suggestions on another series like heartland? I like tv series with a lot of episodes, to keep me busy. Hi! I’m not sure of your age range, but there are many series that you can find on Netflix depending on the genre you’re looking for. If you want to check out a few movies, I know that “A Gift Horse” and “Camp Harlow” are similar in nature to “Heartland”. There’s also a lot of horse movies on Netflix as well. However, I’m not very familiar with many other similar series. If you haven’t already, you should definitely check out “When Calls the Heart”. It’s one of my favorite! Hello! I am 13 (soon-to-be 14) and I am having a really hard time finding a good funny or adventure show on Netflix that my parents agree with. Do you have any suggestions? Thanks for checking out This Modest Mom! I would definitely say that When Calls the Heart would be GREAT for those of any age! My little sister, who is 11, loves it! AND the second season just cam out on Netflix recently! I don’t know very much about adventure shows, but you could also check out some of the oldies that were around when I was your age. I’ve also introduced my sis to those and she’s been happy. Those are some great and clean shows to start with!